The A. Kasteyev State Museum of Arts is the largest art museum in Kazakhstan, located in Almaty. The museum opened on 16 September 1976, based on the collections of the Shevchenko Kazakh State Gallery (established in 1935) and the Republic Museum of Decorative and Applied Art (established in 1970). In 1984, the museum was renamed to honour the Kazakh artist Abilkhan Kasteev (1904–1973). The museum has a collection of over 23,000 works, including historic and contemporary Kazakhstan art, works from the Soviet era (1920s–1990s), Russian artworks (17th to early 20th century), Western European art (16th–20th centuries), and art from East Asia (China, India, Japan, and Korea). 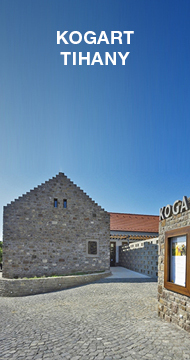 The main mission of the Kovács Gábor Art Foundation (KOGART) is to reveal the values of Hungarian art, and to present them, both in Hungary and abroad. The latter is essential as the significance of a national art cannot be established with sufficient accuracy solely by referencing the domestic environment; for the judgement to be sound, an international comparison is indispensable. This is what lends especial importance to every major presentation of outstanding works of Hungarian art in foreign countries, where art lovers represent a different taste, and can approach the artworks without set value judgements and preconceptions. The opinion of the foreign audience often differs significantly from the domestic canon, encouraging professionals to take new considerations into account, and to have a more nuanced vision of the main trends in their nation’s art. The exhibition at the Kasteyev Museum is such an opportunity for the Kovács Gábor Art Foundation, as well as an occasion for art lovers at Almaty to gain an insight into the colourful world of Hungarian graphic art. The Foundation has always sought to make its collection a fitting representation of Hungarian art in the past five decades, highlighting its versatility of styles and techniques, and placing, whenever possible, íthe work of major masters in an international context. Extended and enriched from year to year, the collection now offers many opportunities to stage presentations of selections based on different criteria. In the case of the exhibition at the Kasteyev Museum, the criteria were provided by the venue and the audience. The first-floor colonnade surrounding the atrium, which recalls the cloister of a mediaeval monastery, encourages the curator to create a panoramic survey of a period or theme, segmenting the material into rhythmic sections or chapters. This display of Hungarian graphic art realizes such a concept with an exclusive selection that presents a wide range of techniques and artists, from those who are now considered classics, through contemporaries of key importance, to representatives of the young generation. Visitors can consequently gain a vivid impression of major issues and stylistic endeavours in the Hungarian art of the past few decades, while being introduced to an almost complete anthology of the traditional techniques of European graphic art. However, when seeing a display from a distant land, visitors cannot be expected to be familiar with the history of the exhibiting country’s art, or to be able to grasp the art historical significance or additional meaning of a work over and above its apparent quality. The curator hopes to overcome this and make the exhibition more interesting and accessible by presenting series or thematic selections from each artist, rather than individual works. As a result, the “stories” associated with, or told in, the works will also be revealed, not only facilitating the understanding of the visual content, but also offering insights into the intricacies of Hungarian culture and the Hungarian spirit. Archaeological finds bear witness to the former proximity of the art of the Kazakh and the Hungarian people, who once shared a life; over the centuries, however, their histories followed different courses, and the two peoples developed essentially unalike customs, beliefs, literature, music and visual art. The one-time “shared stories” have sunk into the mists of time, and now we consider each other’s culture as those of visitors from afar. This exhibition aims to bridge this gap of familiarity by giving a taste of Hungarian literature, history and music as it introduces great artists, events and personages, shares the most important issues that concern today’s man, and allows a view into the exciting world of the creative act. One of Hungarian literature’s most beautiful poetic tales comes to life in Zsuzsa Péreli’s series on János vitéz (John the Valiant), while Imre Szemethy’s copperplates pay tribute to the handful of Hungarian heroes who gave their lives five centuries ago as they defended the southern border of Hungary and Europe against the Turks. While ostensibly relating the story of a medieval peasants’ revolt, Béla Kondor’s Dózsa series from 1956 became one of the most important artistic representations of the ideals of that year’s revolution and war of independence, as well as the prelude to the emergence of contemporary Hungarian graphic art. Imre Kéri’s Caravaggio series effects a reinterpretation of European art, as do Márton Takáts’s paraphrases of Giovanni Battista Piranesi. The former reconstructs in black-and-white the dramatic quality of chiaroscuro-based baroque painting by exploiting the possibilities of the mezzotint technique, while the latter follows the inspiration of the master who recorded classic Roman ruins with an architectural accuracy when he provides an antiquating treatment of important buildings in Budapest, creating a continuity between the past and the present. The concerns of Péter Prutkay’s prints of diverse techniques are phenomena that are of interest for the whole of humanity, such as globalization, terrorism and the endless universe. Young artists like Zsófia Varga, Rita Kesselyák and Rita Koralevics focus on individuals’ micro-environments. Their series, which employ planographic printmaking (lithography, xerigraphy) and mixed techniques, represent streets, squares, old buildings and downright futuristic homes, arousing profound emotions and ideas in the viewer with the apparatus of metaphysical art. Miklós Borsos, a classic master of Hungarian sculpture, dedicated a series of bronze medals to the portraits of some of the finest European composers, while his ink drawings are laconic, but all the more modern, studies of the intimate world of playing chamber music. His contemporary, the world-famous graphic artist Lajos Szalay, whom Picasso rightly called the pre-eminent draughtsman of the 20th century, is represented at the exhibition with his series on horses. Once a nomadic people, Hungarians prized horses as much as the Kazaks, so it is no coincidence their representation is extremely rich throughout the history of our painting and sculpture. Constructed from fine lines, Krisztina Kókay’s ink drawings also evoke the shared past of the peoples of the steppes, conjuring up the features of ancestors with a rustic succinctness familiar from the stelae that can still be seen here and there in the sweeping grasslands. The Renaissance already saw the appearance of the learned, experimenting artist, and the elements of their works often made covert references to the symbols of occultism. István Orosz’s work is a modern reinterpretation of art in the service of technology and mysticism, with Albert Einstein’s portrait – a symbol of scientific thought – appearing on the side of a reflecting metal cylinder that is placed on a specific point in a “baroque” still life. And thus, through the artistic series we arrive at the artist himself, the representation of the creative process. Tibor Csernus, one of the most significant Hungarian and European painters of the second half of the 20th century, lived and worked in Paris for over four decades. His works are presented as a mini exhibition that is not part of the panorama, because these pictures are more like studies, preliminary sketches for large paintings, rather than parts of a series that would follow a definite artistic concept. The aquarelle and pastel studies of bushes and plants, and the atelier sketches, offer an insight into the centuries-old art of image construction, though the individual pieces can be considered self-contained works of art. Nevertheless, the excitement of experimentation can be felt behind every stroke of the brush or the crayon, as the painter considers ever new details and figures in search of the presentation and form of expression best suited for the painting to be made. We hope this selection from the collection of the Kovács Gábor Art Foundation will appeal to the audience, and the ideas that the works reveal will bring the values of Hungarian art closer to art lovers who visit the Kasteyev Museum.